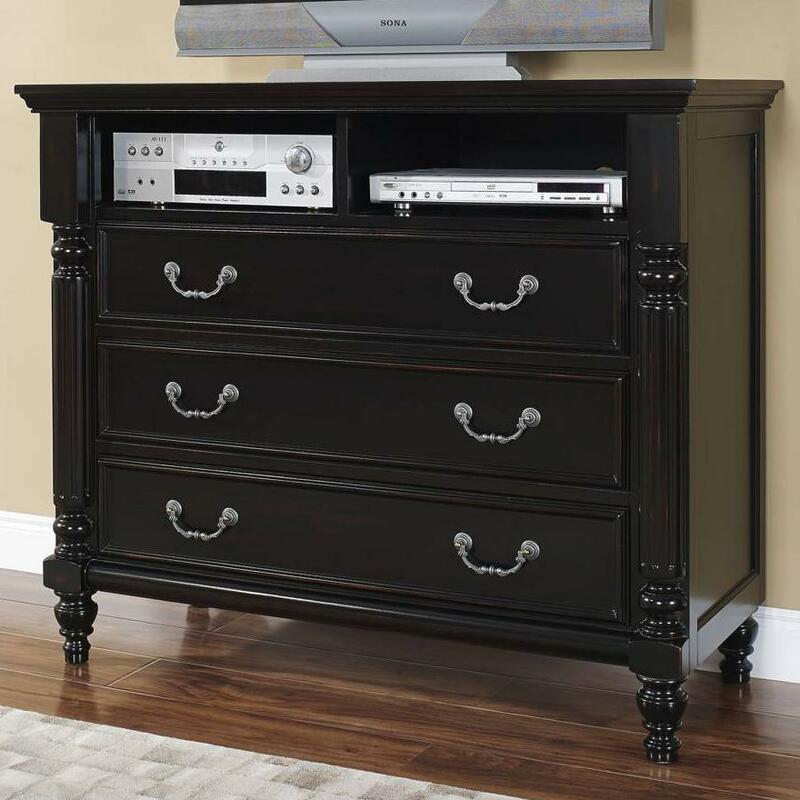 With three drawers and a two compartment top shelf this media chest will give you plenty of storage space for all of your media accessories. 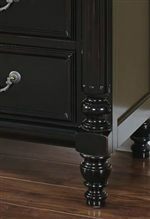 Featuring a rubbed black finish over select veneers and hardwood solids the case is adorned with tuned and fluted accents along with framed panels to create a transitional style. 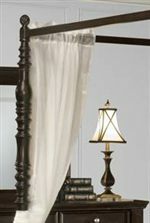 Add this piece to your master bedroom to keep your television and other accessories in order. 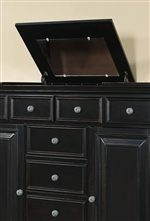 The Martinique Bedroom Transitional 3 Drawer Media Chest by New Classic at Michael's Furniture Warehouse in the San Fernando & Los Angeles area. Product availability may vary. Contact us for the most current availability on this product.